For years, the Haunted Mansion has claimed to have 999 happy haunts. According to a recent audit, however, only 57 ghosts actually reside there. The mansion’s membership manager, I.L. Beeseeinu, was fired yesterday for skewing numbers. 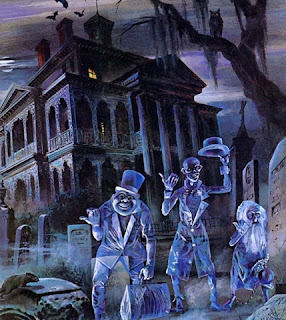 Auditors said they attribute the dwindling population to all the hitchhiking ghosts getting rides. Beeseeinu didn’t comment for this story because he hasn’t been seen since he was fired. Needless to say, the mansion is looking for a new membership manager who will not only post true membership numbers, but who will also boost membership. Those interested can apply at BringBackThe999.mon.